German ambassador Hans-Udo Muzel, along with Mwani Qatar’s public relations and communication manager Hamad Ali al-Ansari, other ports officials, and dignitaries, attended a special ceremony to mark the TUI cruise ship’s first visit in Qatar. 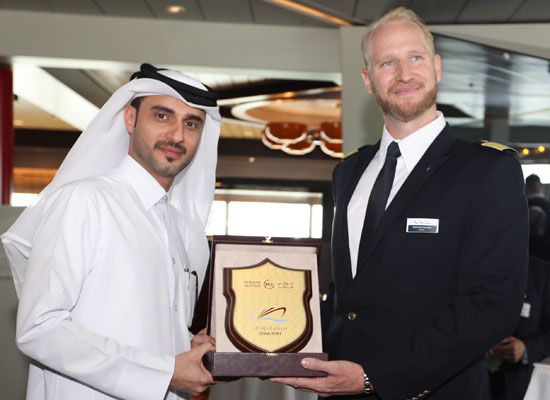 “The success of receiving one of the world’s largest cruise ships reflects the confidence that the port has gained among the world’s cruise ship operators,” Mwani Qatar CEO Capt Abdulla al-Khanji said in a press statement. 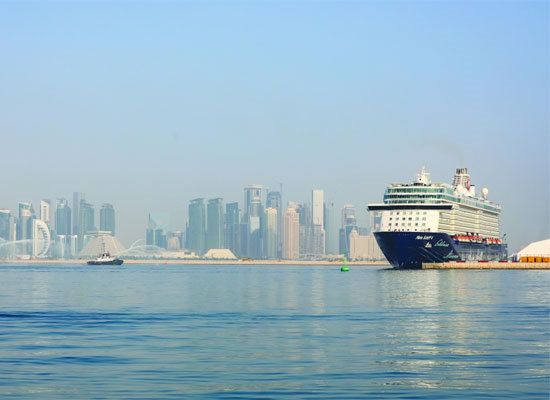 Mein Schiff 4 is docked at the Doha Port, Qatar’s gateway to marine tourism. He stressed that the port’s transformation into a major cruise port in the region will bring significant economic returns to companies, hotels, restaurants, retail, services and tourist attractions in Qatar.